September | 2016 | Why Is The Internet Broken? Random musings. Photography. Tech stuff. Bad jokes. NetApp Insight 2016 in Las Vegas is in the books. All the months of hard work leading up to the show finally came to fruition and the payoff is seeing how well you were able to deliver your message. 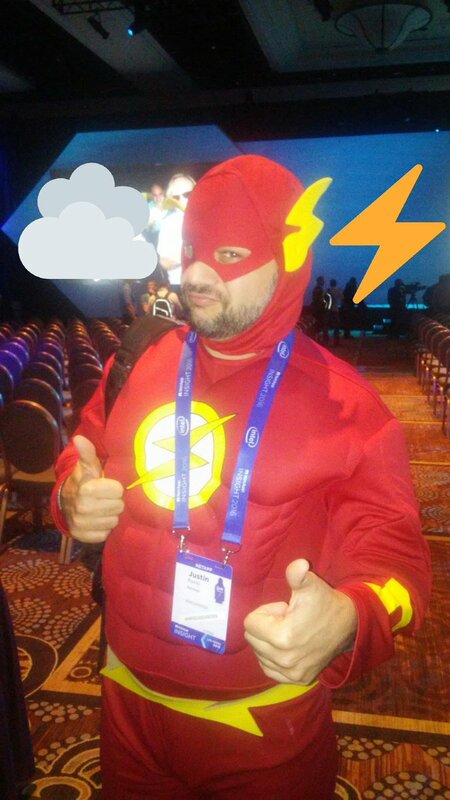 Will I see you at #NetAppInsight 2016? This Insight was particularly busy for me. I had 3 sessions which I presented 7 times total. In addition, I had some booth duty, Tech ONTAP podcast recordings and editing, customer meetings, general session presentation and just general networking. Lots of walking, too. Fitbit says I walked over 60,000 steps for a total of ~28 miles from Sunday to Thursday! My feet agree. This was the internal/partner only session on Authentication. I take pride in making deep dive sessions into true deep dives. I think I did ok with this one, given the numbers. 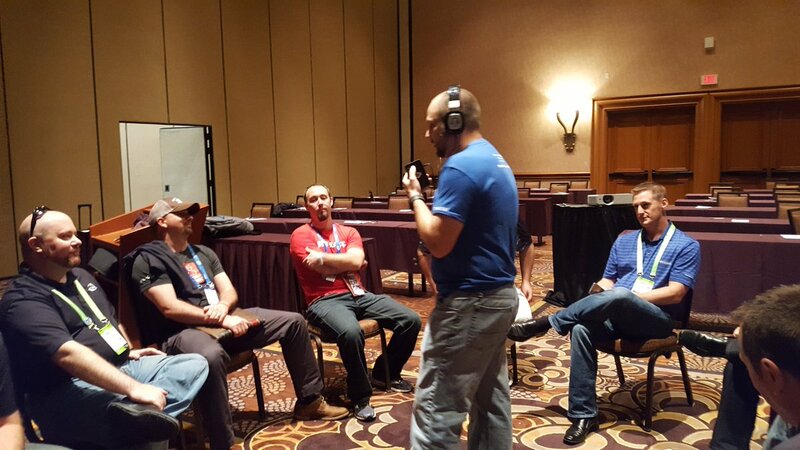 This was the session for the new feature NetApp FlexGroup, which I cover in FlexGroups: An evolution of NAS. Expect the FlexGroup Technical Report to be publicly available soon. This session seemed to generate a ton of interest and questions. The scores reflected that. This session was a co-present session with Dave Morera, who did an excellent job as he departs from the NetApp A-Team on to VMware. Most of the scores were pretty good, but I think a few people thought the session was going to be more technical than we had it. Hard to gauge expectations; level 2 sessions are generally going to be a mix of technical and practical. We’ll take the feedback and apply it to the Berlin session. So, overall, I think the sessions were successful. Looking forward to improving them a bit for Berlin. Come check them out there if you’re going! Most of the people I grabbed were partners or employees. I wanted to get more customers involved, so I’ll focus on that in Berlin. The Tech ONTAP podcast team was fortunate enough to be invited by Roger Anderson to do a live podcast. The fact that he trusted us enough to go live and unscripted speaks volumes to his admiration of the podcast. I managed to get ahold of some video of the opening and will post the whole session later. Met lots of new people. Some from sessions, some from the Podcast, some from the general session exposure. Some were names I recognized from emails – both from internal NetApp to customers I used to help in support. All in all, was good to put names to faces. Also gave away a bunch of shirts! See you all in Berlin! This week, we welcome Juan Mojica (@Juan_M_Mojica), product manager for the new feature NetApp Volume Encryption (NVE). NVE is available in ONTAP 9.1, which is being announced today at NetApp Insight! What is NetApp Volume Encryption (NVE)? Previously, to encrypt data at rest on ONTAP systems, it was an all or nothing deal. ONTAP 9 introduced the ability to do an on-box key management, but you still were encrypting everything. With NetApp Volume Encryption (NVE), you can encrypt data at a per-volume level, giving you more flexibility and avoiding the need to encrypt entire systems. Because NVE leverages the AES-NI capabilities on CPU, there are hardware restrictions. Find out more in the episode below. The podcast is all finished and up for listening. You can find it on iTunes or SoundCloud or by going to techontappodcast.com. Also, if you don’t like using iTunes or SoundCloud, we just added the podcast to Stitcher. NetApp Insight 2016 in Las Vegas is finally here. Months of preparation and tons of Powerpoint slides are coming to a close and next week, I’ll be able to deliver on the work I’ve put in. If you’re interested in what sessions I’m doing, I list them in Will I see you at #NetAppInsight 2016? This year, the hashtag #NextStopInsight is being promoted to track the exploits of the various speakers and attendees making their way there. I flew out on the 23rd and got a rental car. I lucked out – I got a nice Fiat 500 SUV, with a sunroof! The drive to St. George was about 2 hours, so I made sure to fuel up on some In N Out burger before I left. Because health. The speed limit between Vegas and St. George is 75 most of the way, which is nice. There’s also a really cool segment of highway that winds through some immense mountains. Makes you feel super small and insignificant. I’m going to try to set up the camera to get some video during the drive on the way back if I can. Once I arrived, I made my way out to take a short hike in Pioneer Park. Climbed some big ol’ rocks. I arrived at Zion on Saturday around 11AM and took the shuttle in from Springdale. I had planned on hiking the Narrows but decided I didn’t feel like dealing with the water and changing shoes. So I chose Angel’s Landing, due to its expansive views and the challenge. It was quite an effort getting up there. Lots of inclines and switchbacks. Reminded me a bit of Waipi’o Valley in Hawaii, but a little harder. Easier than Fuji though. It took me a few hours to get up there, and the last leg of the hike was a bit treacherous, but I made it and it was worth it. I’m in Vegas now, so come find me and see if I have any Tech ONTAP podcast swag on me! I also made a video. Because I’m a nerd. 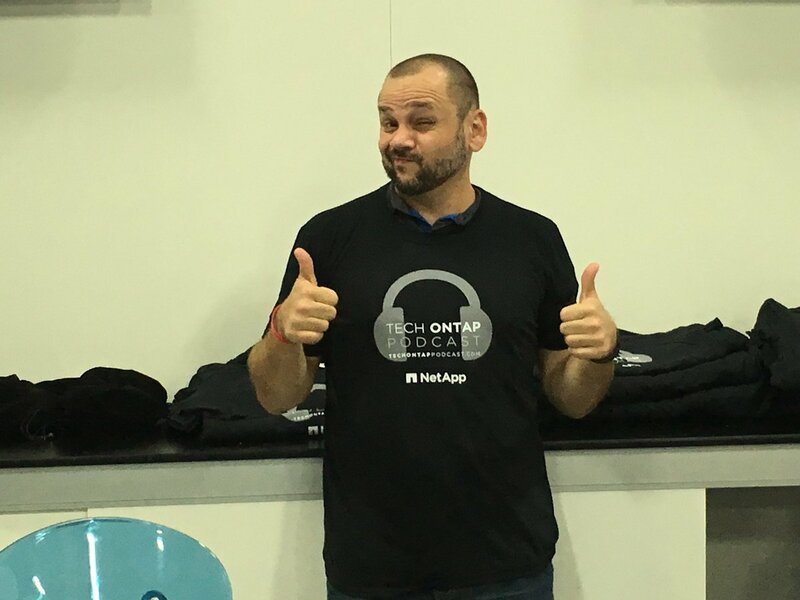 This week on the podcast, we invite Juan Mojica (@juan_m_mojica), Product Manager at NetApp, for a technical discussion about scale out networking in ONTAP. We cover IP Spaces, broadcast domains and subnets, as well as some other tidbits to help you understand how the network stack works in your cluster. 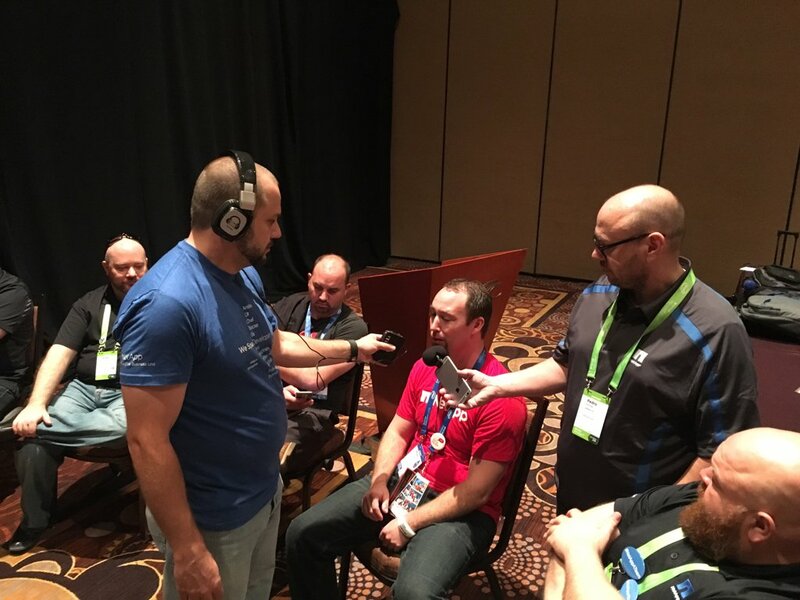 This week, we invite Amy Lewis (@CommsNinja), Josh Atwell (@josh_atwell)and Chris Gebhardt (@chrisgeb) to discuss VMworld 2016 in Vegas and how NetApp fared. We had a full house in the studio – as well as on the phone – and as such, we got lots of “bonus” content. Be sure to stick around after the outro for a beat box session. This week, we talk Foreign LUN Import with the @NTAPFLIGuy himself, NetApp SAN TME Mike Peppers! Find out how you can easily migrate LUNs from competitor storage systems to ONTAP with minimal disruption. Getting Mike into the studio was pretty easy, even though we asked him at the last minute. That was a side effect of a ton of people being at VMworld that week. Be sure to check out his session at Insight: 54370-2 – AFF Business Processing ONTAP SAN. Mike was also gracious enough to give us some additional info for a blog on the new interoperability matrix for FLI. New IMT solution for FLI backend interop is live now! NetApp is pleased to announce that the New IMT solution for FLI Back-end Interoperability is live now. This new solution offers much greater source array matrix for FLI compare to FlexArray. For switch supported configuration click on build end to end view for “SAN-Switch” from “FAS SAN host” tab. Info can also be found in TR-4380: SAN Migration Using Foreign LUN Import. ONTAP 9.0 is now generally available (GA)! Back in June, ONTAP 9RC1 was released. Tons of new features were added, which I covered in ONTAP 9 RC1 is now available! as well as during the Tech ONTAP podcast’s ONTAP 9 month. Behind the Scenes: Episode 184 – Don’t Panic! It’s Only Cloud! Thoughts on Industrial Computing. Or sometimes economics or music or trail runnning or carpentry. Employee of Datto. Proud New Englander and Schaghticoke. Site is my own.